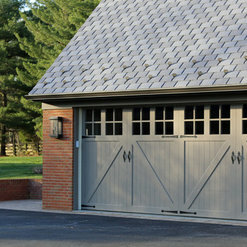 Free estimates on new garage doors! 7 Projects for Mid-Atlantic Door Group, Inc. Excellent service and extremely responsive and courteous staff! We have been using this company for number of years and will highly recommend them. Thank you. Overhead Door Co. did a fantastic job repairing my broken garage. We had our spring go out and needed it fixed ASAP. They showed up within a few hours of requesting service. The technician was very professional, polite, and replaced the broken spring quickly with a better product. He also performed general maintenance on the entire door assembly and it’s quieter and smoother than it was when it was first installed by my home builder. I will use them going forward and would highly recommend them. Mr. Green, thank you for taking the time to write a review. The team here at Overhead Door are thrilled to hear such good feedback. 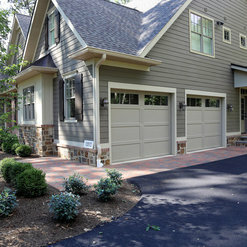 We strive to be the best garage door company in the DC Metro. 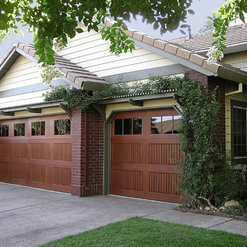 I’m glad we could help get your broken garage door in tip-top shape again! Have a great Holiday! They promptly answered my call, scheduled an appointment for the exact day that I requested. The serviceman came on time and fixed my garage door for a very reasonable price. I reported an issue and they responded within 24 hours. The gentlemen who showed-up, Bill, was on-time, professional, thoroughly explained the situation, and cordial. Thanks Bill! From the estimator to the installer, Overhead Door Company was wonderful. We thought we needed to replace all three of our doors, but we were told we just needed some new pulleys, rails and the sweeps on the bottom of the doors. The installer showed up on time and not only worked steadily, he fixed the keypad opener and one of the car's remotes. Great company!! i do not need additional work done at this time. My service was completed on Saturday, June 17, 2017. Justin Baumgartner did a great job explaining how to operate my garage door. It was a simple issue. But he was very professional. He did not make me feel dumb, and suggested some options to help me in the future. Good Job Justin. Overhead Door installed my garage door over 10 years ago. Only recently did I bother to have a tune up and springs checked, etc. The technician that came to service the door was on time, professional, and answered all questions. The fee was accurately quoted when the appointment was made. 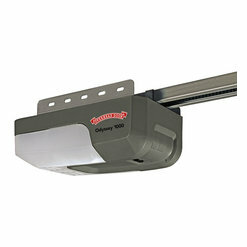 Even if one does not have a door installed by Overhead I highly recommend using them to service your door. 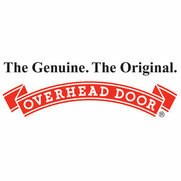 Overhead Door company provided excellent service. They were on time, informed me of everything they were doing, and completed the job as scheduled. I just recommended them to my neighbor saying how professional, clean, and reasonably priced they were. I called Overhead Door to get an estimate for a new garage door for out approximately 80 year old house. The salesperson (Al) was responsive and professional. We decided to move ahead and the door was ordered. About 10 days later, I got a call to schedule the installation. The installer arrived on time and worked diligently until the door was in. Because the garage floor is not level, we noticed some light on the left side below the door. The installer advised that the company has an additional part that can extend the seal for just this type of situation. We asked to add that part (at a modest additional cost) and two days later that part was installed. We are very pleased with the company and the service everyone provided. Every experience was pleasant, from phone calls to emails to installation. 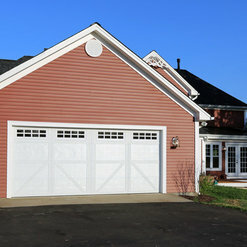 Appreciated the thoughtful advice from Kevin on choosing a garage door that would be a good fit in the city, taking into consideration security concerns and dent-ability. Also appreciated their site visits while construction was underway to ensure installation was timed well and would go smoothly. Highly recommend. 1 Ideabook for Mid-Atlantic Door Group, Inc. 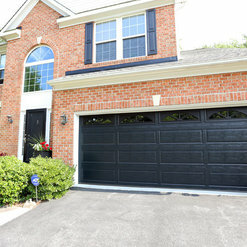 Commented: can you tell me the manufacturer of these doors?These garage doors are manufactured by Overhead Door Corp.